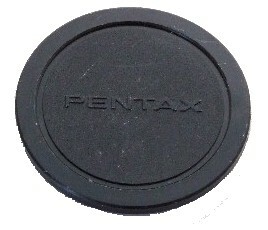 Here is a listing for a multiple quantity of the Asahi Optical Company Pentax K mount body cap made in Japan. The cap in the picture is an exmaple of what you will get. All of them are original equipment, genuine Pentax caps. The cap pictured is one of the worst as far as cosmetic condition. I have them priced low for quick sale. These will fit all the K-Mount film cameras as well as the new Digital SLR cameras.